Click the “Define and select print sections” button, and then “New section”. 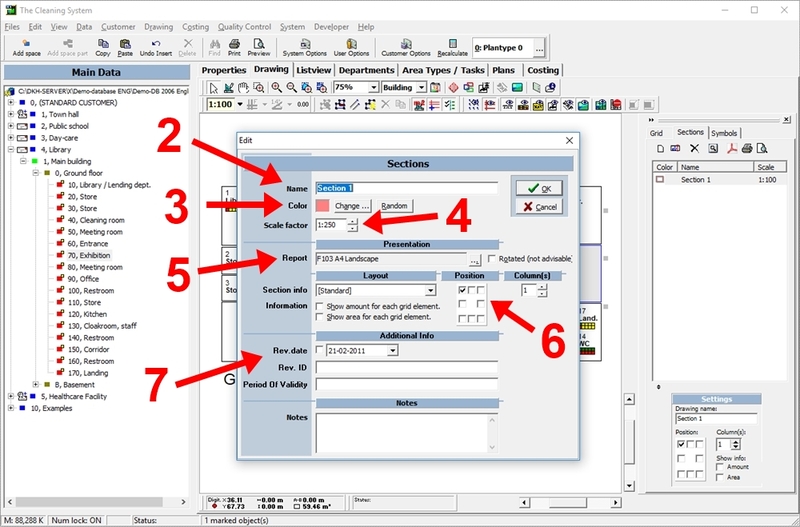 Edit the name, color, scale function and addiotional informations and click “OK”. 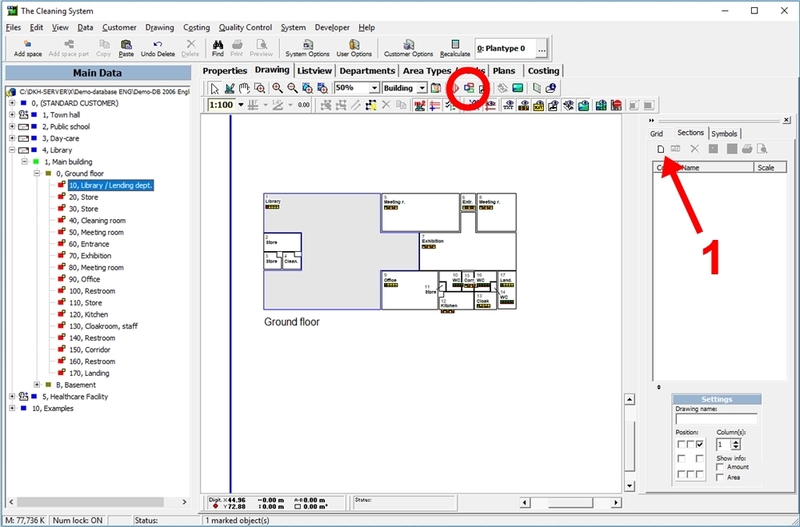 In the “Sections” window, you can change the “Name” (2), “Colour” (3) and “Scale factor” (4) of the section. 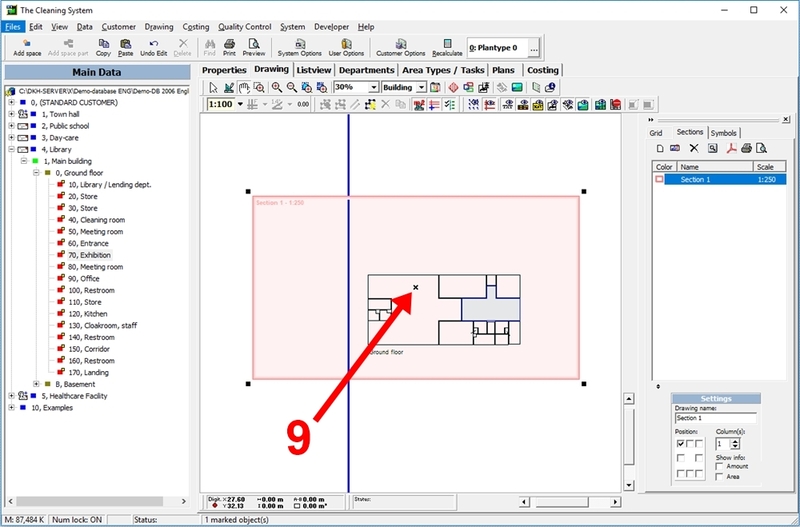 You have now added a print section to your drawing. If you want to print the section to a PDF file, click here.